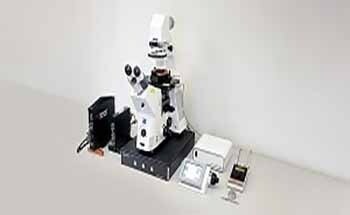 The NaniteAFM, available from Nanosurf, is a compact and mountable atomic force microscope designed for large sample measurements in automated industrial environments. The NaniteAFM scan head makes the AFM an ideal system for industrial applications. The NaniteAFM can even detect and visualize the smallest surface structures with a resolution of less than 1 nm. It enables users to bring their product analysis to a new level with simple handling and integration into a multitude of possible stage designs. With the aid of NaniteAFM, users can check coatings for irregularities and intended structures, or utilize different measurement modes of AFM to detect elements that are not visible in topography mode. Reproducibility and accessibility make the NaniteAFM an ideal quality control tool for production process optimization, precision engineering, semiconductor fabrication, and many other processes.